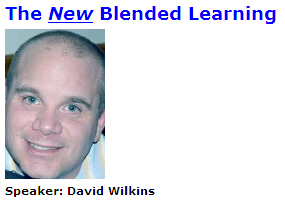 "Blended Learning: Combining Face-to-Face and Online Instruction." This paper contains the latest research findings, and gives you the chance to learn more about how Aventa Learning can help you provide your students with an individualized education that meets their needs. Today, school systems like yours are seeking new and innovative ways to customize learning to suit the needs of their students. As a solution, an increasing number are turning to blended learning, a unique academic model that combines online learning and face-to-face support. Aventa Learning is proud to be at the leading edge of this movement. Since 2002, we've partnered with nearly two thousand schools to provide cost-effective supplemental and credit recovery courses: to give students more choices, or help them earn the credits they need to move on, move up, and enter the work force or pursue higher education. The white paper gives you a comprehensive overview of independent research about blended learning. The paper also discusses how Aventa provides schools with the tools and curriculum to craft individualized options, so students can connect with content, instructors, mentors, and each other, both online and face to face. A Galway-based medical education software visualisation company has been awarded at this year’s European Media in Education Awards (MEDEA) in Brussels. 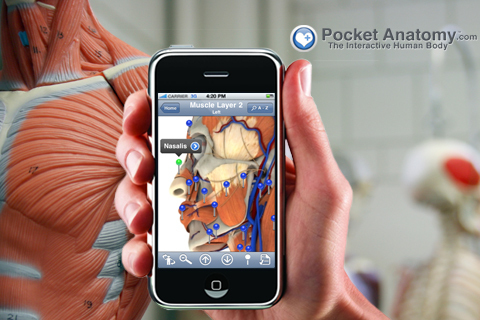 Pocket Anatomy’s mobile medical education products – Pocket Heart and Pocket Body mobile – were selected by a judging panel of 74 European e-learning practitioners who said the products were an excellent example of e-learning. The company’s products were further described by the judging panel as “self-learning instruments with high-quality learning content, excellent visualisation and animation combined with the right tools to enable learners to achieve clear learning goals”. 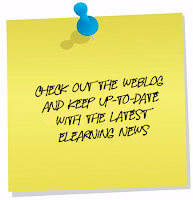 ELI has released a new white paper, Blended Learning: A Report on the ELI Focus Session, by Veronica Diaz and Malcolm B. Brown (EDUCAUSE). On September 15 and 16, 2010, the ELI teaching and learning community gathered for an online focus session on blended learning. This white paper is a synthesis of the key ideas, themes, and concepts that emerged from those sessions. 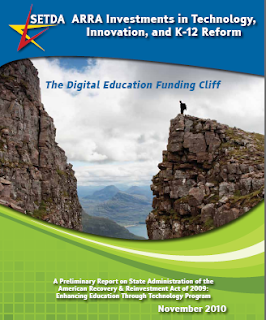 This white paper also includes links to supporting focus session materials, recordings, and resources. It represents a harvesting of the key elements that we, as a teaching and learning community, need to keep in mind as we work to refine the blended instructional delivery model in higher education. Blended learning has become an accepted practice in the learning space. Blended today means some combination of online learning, classroom experiences, and on-the-job mentoring. It's benefits and impacts are well-known and well-researched. But what if we're not really blending the right stuff? What if the gains we've seen to date are just the tip of the iceberg? Today's blended learning is a cocktail of ice, water, and seltzer water - all variations on a theme, the theme of top-down learning. We're blending delivery models, but not the learning paradigm. The new blended learning mixes formal learning with collaborative and social learning, internal learning with training for the extended enterprise. How do you drastically cut cost and immediately roll-out eLearning? Do-it-yourself. Whether you are a lone and single do-it-all eLearning department or part of the large development team, the skills of the do-it-yourself eLearning producer are of increasingly high value. Many eLearning initiatives have to be done and delivered now and you are expected to respond. In this webinar, you will learn quick and dirty - but effective - eLearning approaches. You will learn a simplified design and low costs solutions. Why Do-it-Yourself eLearning skills are increasingly a job requirement? How can you deliver low budget eLearning and respond to sometimes unreasonable demands? How to use "on-the-fly" and short-cut instructional design techniques? Where to find and use low cost, commonly used, and free software for immediately delivery? What do you do if you are absolutely brand new in eLearning and sometimes overwhelmed? How can use your do-it-yourself eLearning skills to secure new jobs or career opportunities? How do you match the power of distributed, cloud-based computing combined with appropriate learning theories? mLearning theory mashups provide the same granularity in learning design as technology mashups. Don't let your learning design take a back seat to your mobile technology. Apply a powerful model that puts learning first. Come see leading-edge examples from Google, the military, Johnson & Johnson, and others. Technologies discussed in this session: Mobile, messaging, Podcasting, video streaming, mobile LMS integration, cloud computing, alternate reality games. Look at the EDUCAUSE Learning Initiative, the "7 Things You Should Know about..." series. HyFlex is a course design model that presents the components of hybrid learning in a flexible course structure that gives students the option of attending sessions in the classroom, participating online, or doing both. Students can change their mode of attendance weekly or by topic, according to need or preference. Models like HyFlex, which present multiple paths through course content, may work well for courses where students arrive with varying levels of expertise or background in the subject matter. Courses built on the HyFlex model help to break down the boundary between the virtual classroom and the physical one. By allowing students access to both platforms, the design encourages discussion threads to move from one platform to the other. This session will report on four years of experience delivering graduate education with the HyFlex approach. 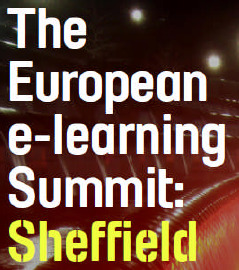 Carin Martell, International Alliances Manager at the leading learning content management (LCMS) and digital repository (DR) solution provider, eXact learning solutions, was one of the keynote speakers at the European e-learning Summit, held in Sheffield from 17th to 19th November. Presenting 'A European Perspective', Martell outlined world population and economic trends - to set a context for the future development - and value - of e-learning. She explained that the average age of people in Europe is rising while the populations in Asia's growing economies are both young and plentiful. She commented: "For example, some 80% of the population of Pakistan is under 30 - and 1bn workers will join the labour market in Asian economies such as those of India and China in the next ten years. The European e-learning Summit delegates - Europe's top e-learning strategists, content and systems developers, drawn from the private and public sectors as well as academia - discussed the European and world markets for e-learning, identified industry trends and the key issues in e-learning today. The Summit was organised by Learning Light, the Sheffield-based company which focuses on promoting the use of e-learning and learning technologies, and was supported by learndirect and by Creativesheffield. The company has over fifteen years of experience and more than 100 customers worldwide. Our technological innovations allow enterprises to improve their organizational performance, and achieve significant reductions in business costs. Free resource for integrated learning in the classroom. eSchool News released a new Educator Resource Center (ERC) focused on guiding educators in successfully implementing blended learning in classrooms. Sponsored by K12, Inc., “The Many Faces of Blended Learning” is comprised of key resources and examples of combined virtual and traditional learning techniques to form a modern and effective learning strategy. eSchool News writes, "Technology is transforming education, most notably in the way students have access to learning opportunities. No longer must students sit in a classroom, plodding along at the same pace as their peers, if they wish to learn—as online instruction has opened a new world of possibilities." Please be sure to check out this paper, appears in the European Journal of Open, Distance and E-Learning. Instruction in higher education has developed significantly over the past two decades, influenced by two trends: promotion of active learning methods and integration of web technology in e-Learning. Many studies found that active teaching improves students' success, involvement and thinking skills. 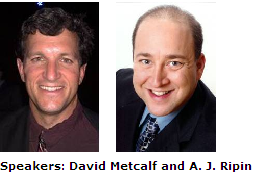 Nevertheless, internationally, most instructors maintain traditional teaching methods. A research tool – Active Instruction Tendency – (AIT) questionnaire developed on the basis of 'active instructors' experience exposed the transitions they had undergone. Following a review of the literature and examination of 'active instructors' attitudes, six key areas that may characterize the lecturer's tendency to adopt active learning were identified. Using the AIT questionnaire, we examined attitudes concerning active learning of 135 instructors in three Israeli higher education institutions and 56 European distance and e-learning instructors. Their attitudes were compared with the attitudes of 'active instructors' who, for the past five years, have taught in active learning environments. In all six identified instruction areas, significant differences were found between attitudes of 'active instructors' and other instructors. Identification of these differences expands the theoretical knowledge corpus concerning instructors' attitudes toward active learning, presenting a new tool to characterize these attitudes. 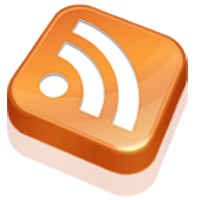 FORUM on Language resources and Web 2.0: the latest hype or new perspectives?. After the Webinar on this topic, a public forum has opened in order to facilitate debate on the challenges of social media in the development of language resources and in empowering language learning. 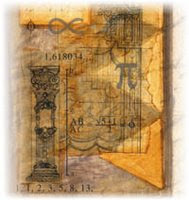 The forum should allow more opportunities for exchange, particularly in an asynchronous mode and will remain open for two months (October - December 2010). Afterwards, 3 key issues and 3 recommendations in relation to the topic of language resources in the web 2.0 era will be published. Join in to expand the discussion and interact with experts and the community! The TC*Teacher project seeks to create an international teacher training methodology which will be based on European best practice and achievements. 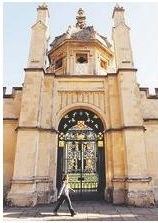 It will create face-to-face training courses as well as offerings for distance learning. It aims to be the first step in advancing not just technological knowledge but also teachers' pedagogical capacity in their specific subject areas. EDEN Dublin 2011 Annual Conference. Learning and Sustainability. The New Ecosystems of Innovation and Knowledge. 19 - 22 June 2011 (Dublin, Ireland) The aim of the 2011 EDEN conference is to highlight different ways and approaches to integrate the concept of responsible and sustainable development to learning, in its widest sense. You are invited to submit proposals for presentations in parallel sessions, posters or short demonstrations that relate to one or more of the conference themes. Over the past twelve years, the National E-Learning Conference has developed into the leading platform for presenting and discussing e-learning developments in the Netherlands and Belgium. In this 12th edition, even more than in previous years, the primary focus will be on practical aspects and experience. The ‘experience plaza’ has therefore been designated the heart of this 12th edition. Information and Communication Technology (ICT) plays an increasing role in education and learning. Research shows that ICT has great potential to significantly increase learning outcomes for students. 125 experts from 26 countries discussed the latest research results in Budapest. The engaging keynote speeches are available for download. Check out the eLearning Video: A short introduction to the Connect Thinking E-Learning Academy and member benefits. 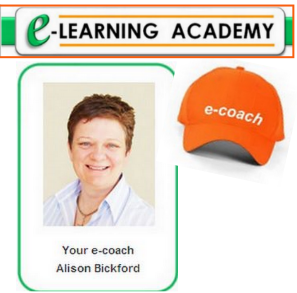 Alison Bickford, Director of Connect Thinking and e-coach for the Connect Thinking E-Learning Academy, has begun rolling out a series of free introductory e-learning tutorials through iTunes, YouTube and the Academy blog. Help your child bridge that learning gap and empower his/her natural ability to learn mathematical concepts in a fun way with E.nopi Maths. E.nopi workbooks are colourful and fun. 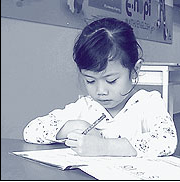 The E.nopi Maths programme is a supplementary learning process developed in Korea by Daekyo, the world's largest open-school, with 4.2 million students in over 13 countries. The E.nopi Maths programme embraces the understanding, practice and application to develop and enhance the depth and range of understanding of mathematics in children of all ages. E.nopi workbooks are colourful and self-guided, complete with explanations on the set concepts or topics. ﻿﻿﻿﻿﻿﻿﻿At some point in our lives, the idea of going to summer school was sheer drudgery. But now that you're all grown up, the idea might have more appeal -- especially if it means a week of higher learning at Oxford University. Online registration has begun for the venerated institution's summer school. There's no need to dig out your college or high school transcripts. There are no requirements, exams or papers to qualify.